Andrew A. Cashner received a Ph.D. in the history and theory of music from the University of Chicago, with a dissertation on devotional music (villancicos) in seventeenth-century Mexico and Spain. His article, "Playing Cards at the Eucharistic Table: Music, Theology, and Society in a Corpus Christi Villancico from Colonial Mexico, 1628," was published in the Journal of Early Modern History in 2014 and was then selected for the 2015 Alfred Einstein Award from the American Musicological Society. His doctoral research was supported by a Mellon/ACLS Dissertation Completion Fellowship and a Jacob K. Javits Fellowship from the United States Department of Education. He has received travel grants from the American Musicological Society, the Council for European Studies at Columbia University, and the Center for Latin American Studies at the University of Chicago. 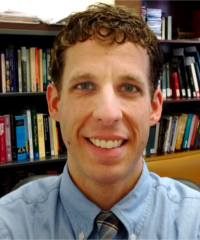 Dr. Cashner's research focuses on repertoires and practices of religious song in the early modern world, including Hispanic Catholic villancicos and German Lutheran hymns. He also has strong interests in keyboard music, the history and ideology of the Western Classical canon, practices of homage and stylistic allusion, hermeneutics, and ritual theory. His research seeks to understand how people have used music to connect with supernatural sources of power, especially in Christian traditions; and how they express their theological beliefs about music through the medium of music itself. His work explores how people define and transgress distinctions between sacred and secular, holy and profane, elite and common. He is interested in ways that people use music to create social relationships, especially in intercultural and colonial contexts where music shapes attitudes about race and class distinctions. Dr. Cashner is an active performer on piano, organ, harpischord, and voice, as well as a composer and improviser. At the University of Chicago he directed Quilisma, an amateur group for recreational singing of Gregorian chant. He has played keyboards and and directed choruses in various roles for churches in Los Angeles, Chicago, and several cities in Indiana. Originally from Richmond, Indiana, he earned a Bachelor of Music degree in piano performance from Lawrence University of Wisconsin, and a Master of Sacred Music degree from the University of Notre Dame, with emphasis in theology and organ performance. He also studied piano performance at the New England Conservatory of Music. His principal piano teachers were Catherine Kautsky, Dmitri Novgorodsky, and Charles Combopiano, and he studied organ with Craig Cramer. He studied composition with Philippe Bodin, Ethan Haimo, and Daniel Pinkham.